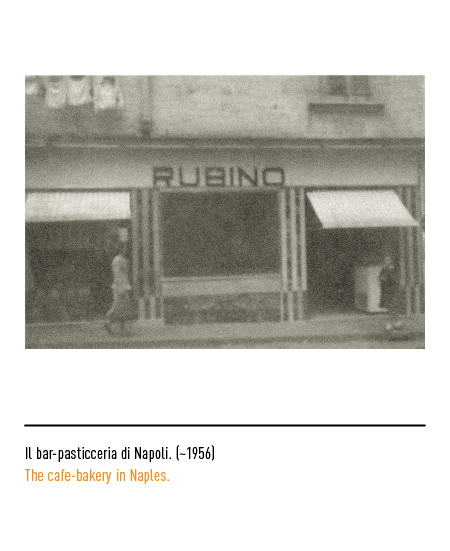 In the aftermath of World War II, the Rubino brothers from Naples decide to work together with their father in the family owned bar-pastryshop. 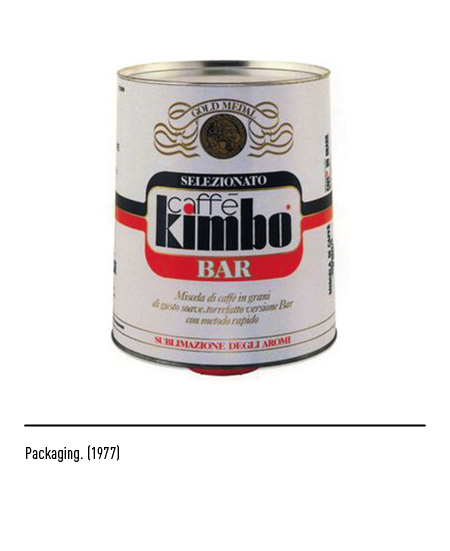 Their espresso quickly becomes the best on the block, and in town; this quick success gives way to the idea of allowing everyone to enjoy Neapolitan coffee by exporting to every household and bar around the globe. 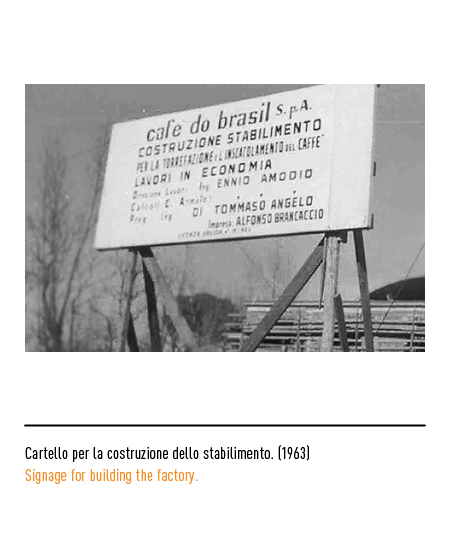 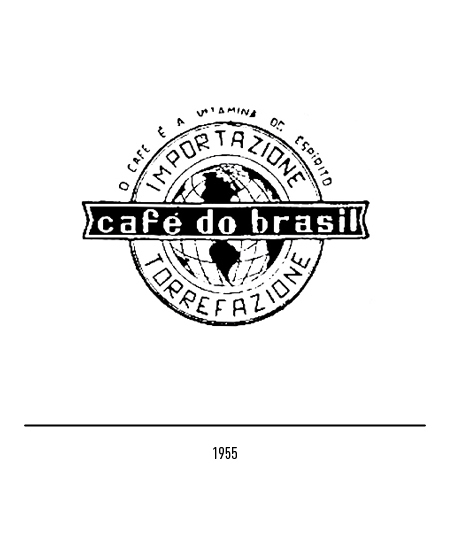 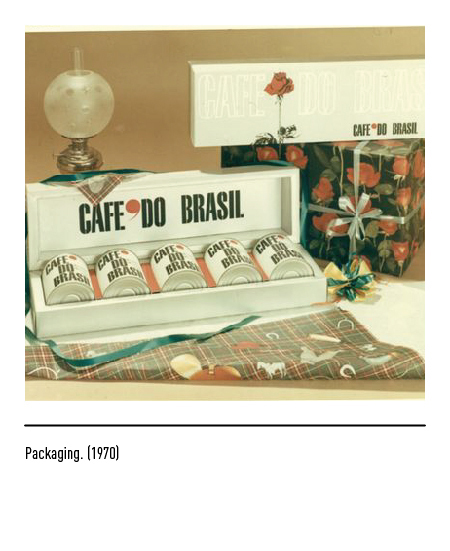 This process starts with the establishment in 1955 of the company “Café do Brasil”; the real game changer will only appear in the Sixties: with the new packing techniques, and the revolutionary vacuumed tin can, the Rubino brothers can now fully achieve their global vision, and gift everyone in the world with the aroma and taste of Neapolitan coffee. 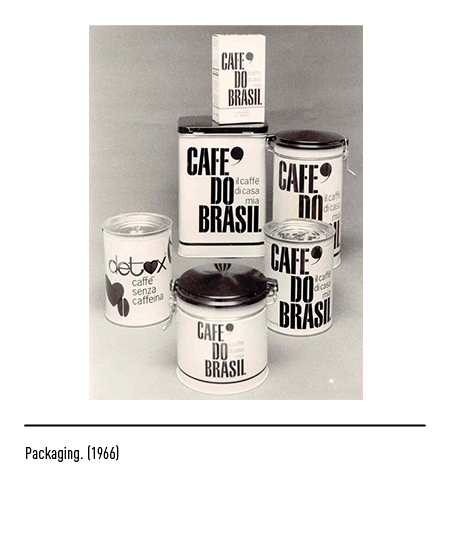 The first logotype bore the “stencil” font, which was the one typically found on the imported coffee bags, and appeared in 1964. 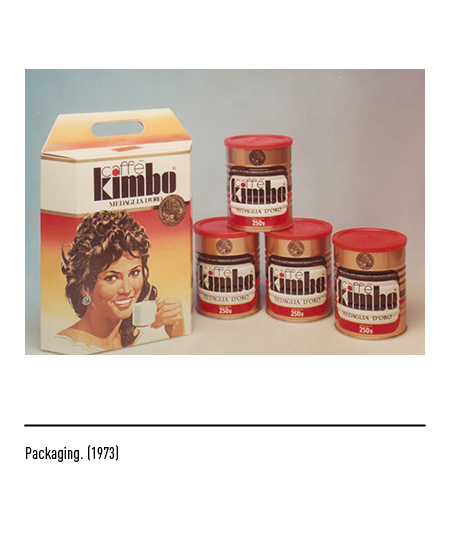 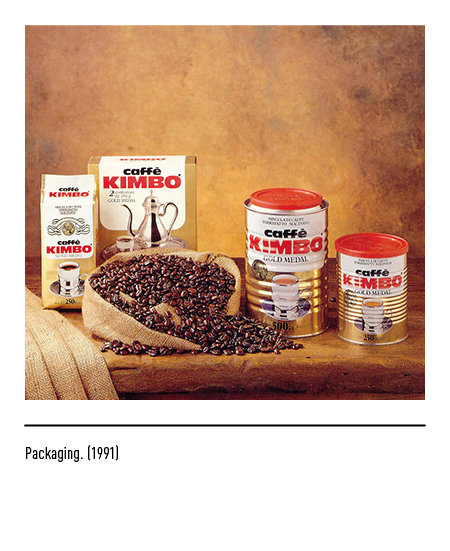 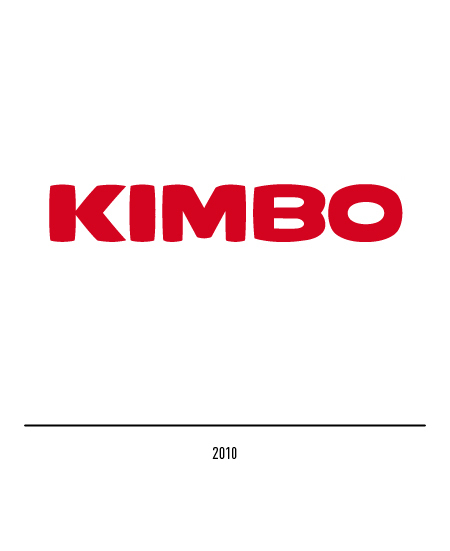 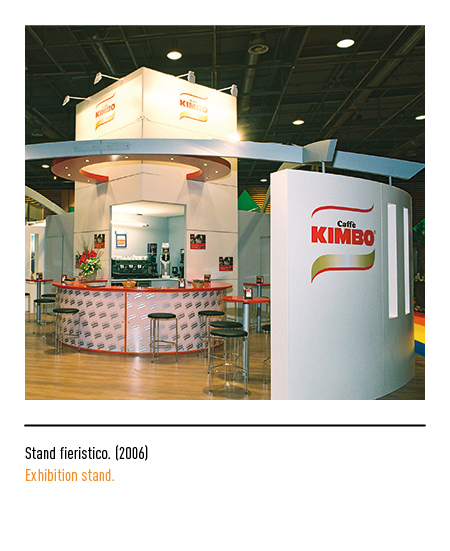 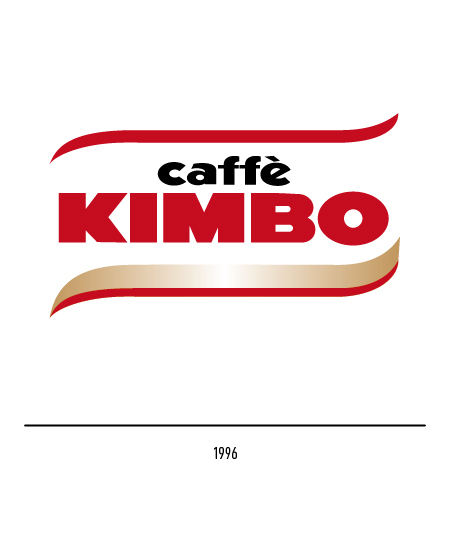 Following the evolution of the family-run business into a processing company, in 1971 the name Kimbo is born, as a reference to the exotic lands from whence the beans originate.The initial “K”, hard and easy-to-recall consonant, created and assonance with “jumbo”, as a reminder of the fact that the product came from overseas; furthermore, the 5 letters made the logotype placement much easier, granting great visibility also in narrow spaces.With the new nomenclature, came also the need of changing the visual communication: the new logotype, this time made up by a black font, for the exception of the little circle inside the “a” of the word “caffé”, which featured a red highlight. 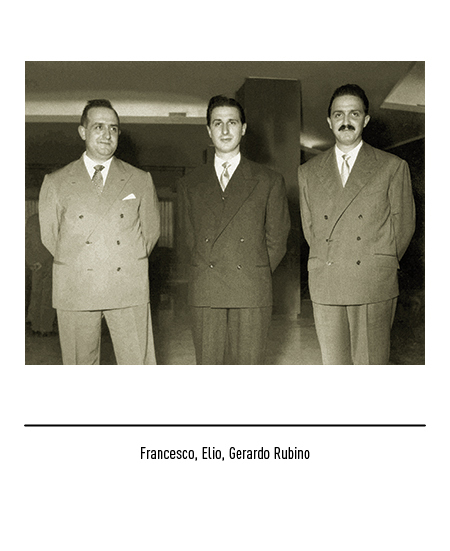 Their success can be mainly attributed to a great foresight in the communication field: the Rubino brothers, after their first advertisement campaign destined exclusively to Campania, decide to move on to the national league, to anticipate the expansion of their market. 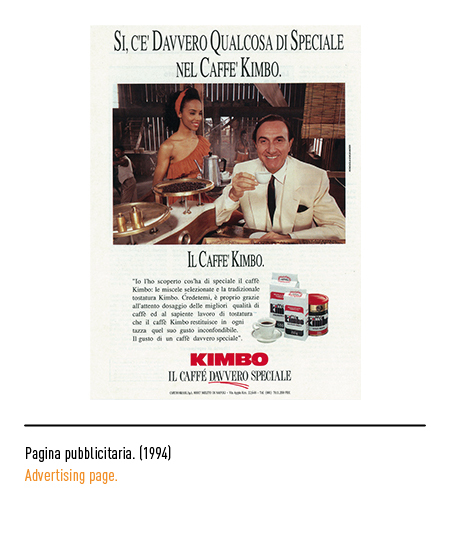 Great characters of the Italian jet-set such as PippoBaudo, Massimo Dapporto and Gigi Proietti are just few of the iconic testimonials who contributed to put Kimbo commercials among the most recognizable in Italian TV. 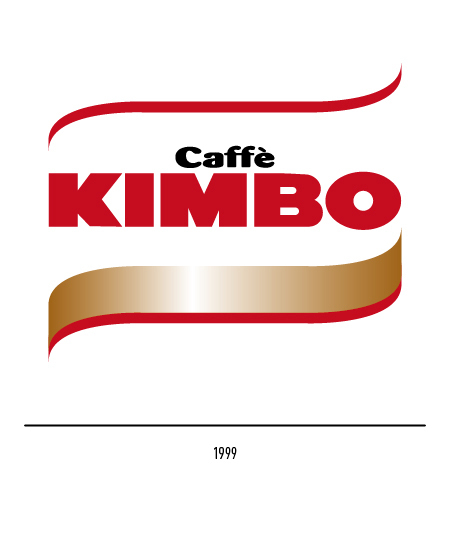 In 1989 the logo underwent a restyling: the font was changed to “Antique Olive” for both words; the logotype Kimbo was also colored in red. 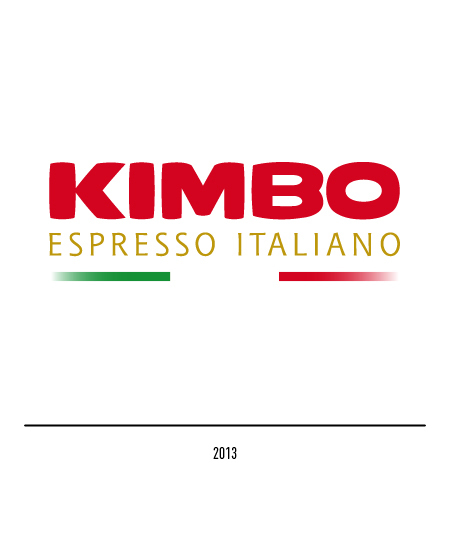 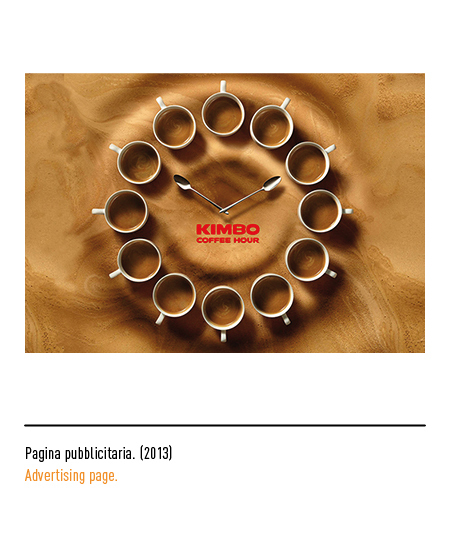 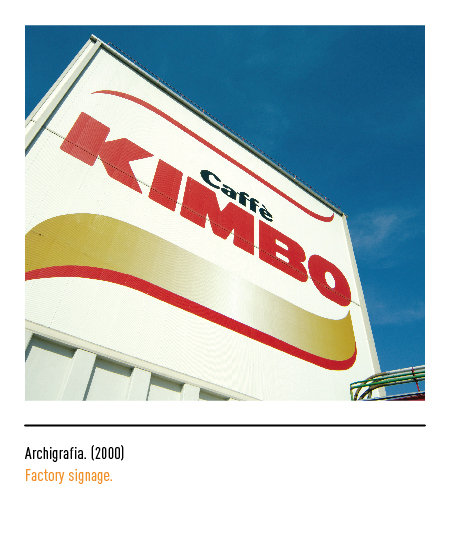 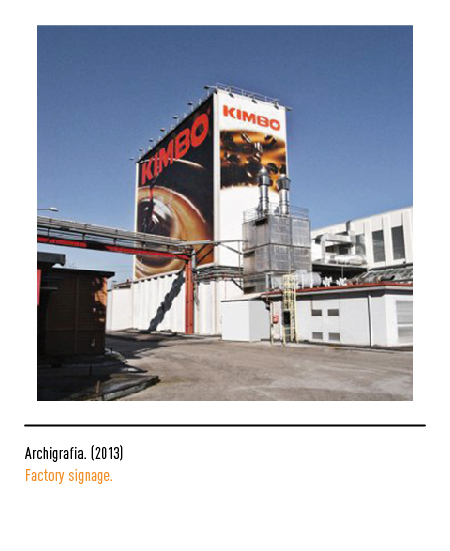 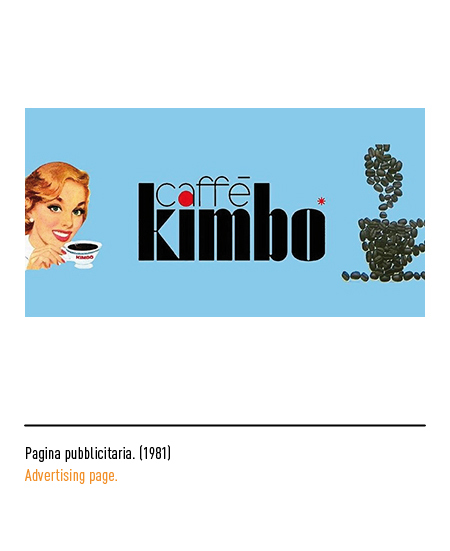 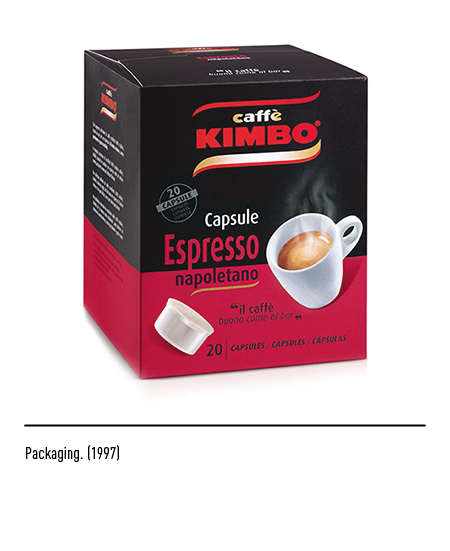 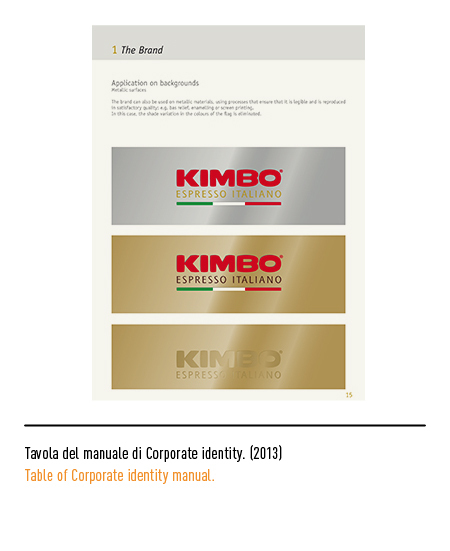 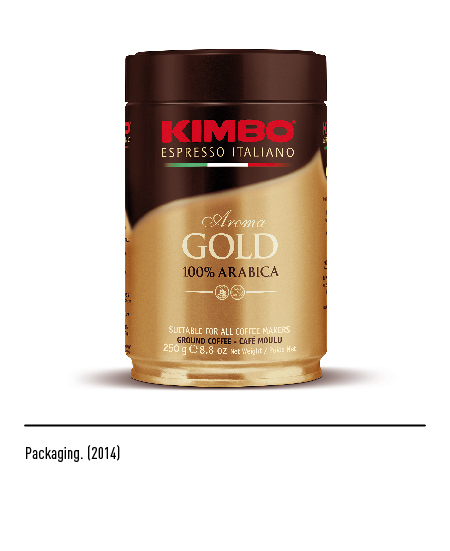 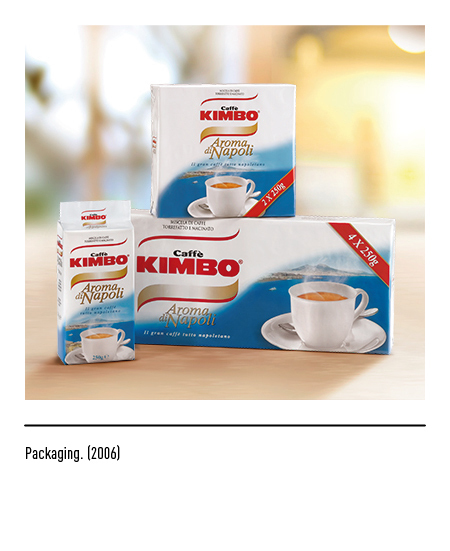 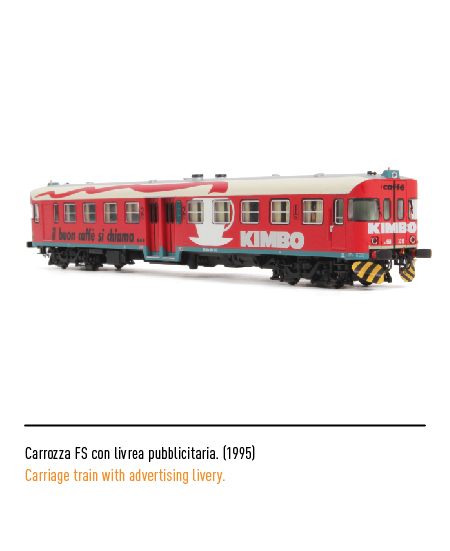 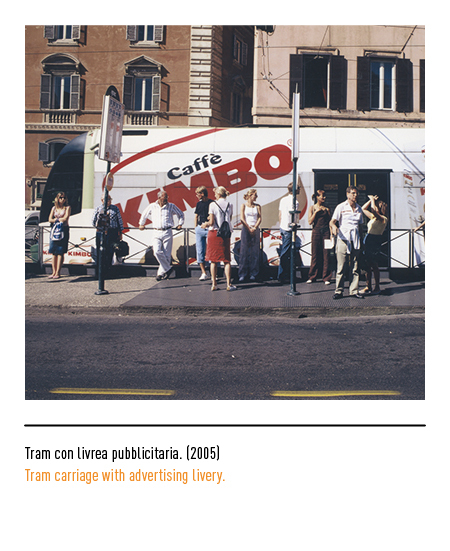 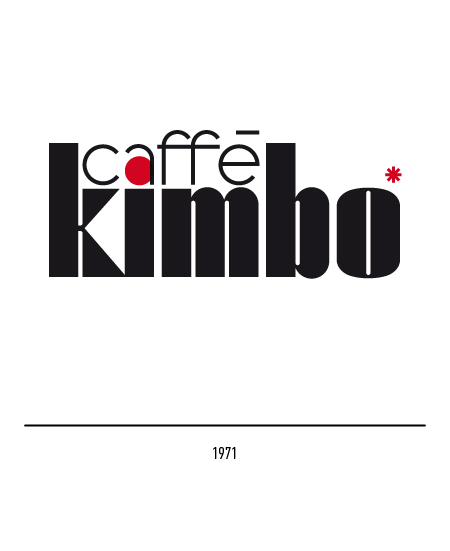 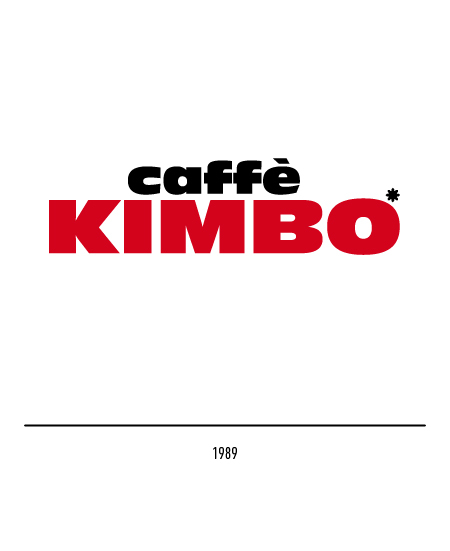 In 1994 Kimbo becomes the second biggest packaged coffee retailer in Italy; their rising success can be pinpointed with those elements: customer loyalty, respect for tradition, an excellent product quality, a great PR team and the big investments in the company’s infrastructure. 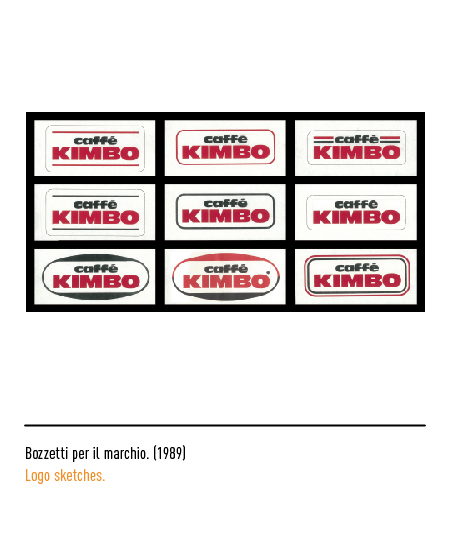 The logotype gains red and gold curvy lines in 1996. 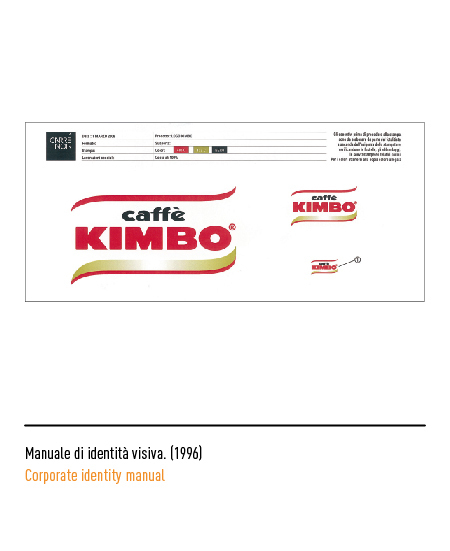 In 2013 the Carrè Noir agency (Turin), is appointed with the task of restyling the logo; the red logotype is softened and loses its edges. 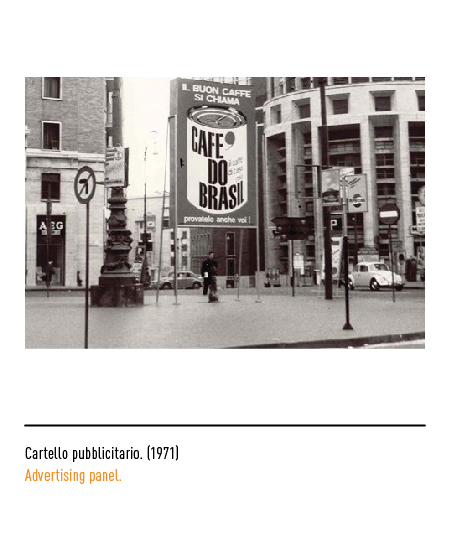 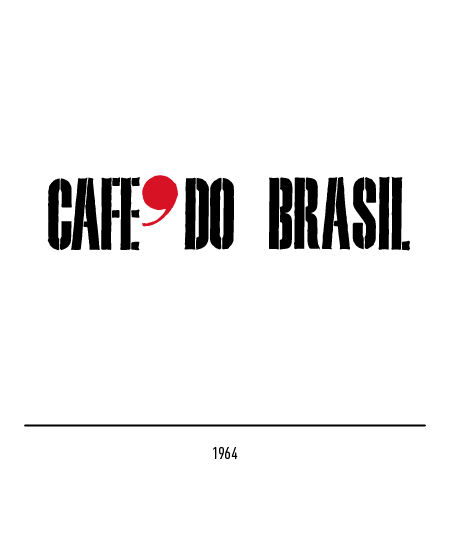 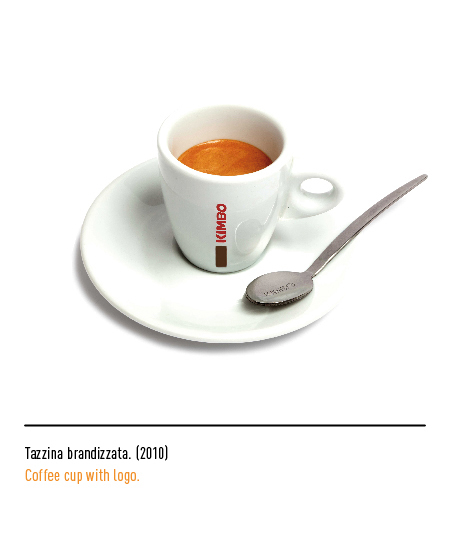 The word coffee will abandon the logotype, replaced by the words “espresso italiano” and the Italian flag.